Apple is already aware of the problem and is investigating the issue. It is currently unknown whether the phone caused the fire or it was something else. 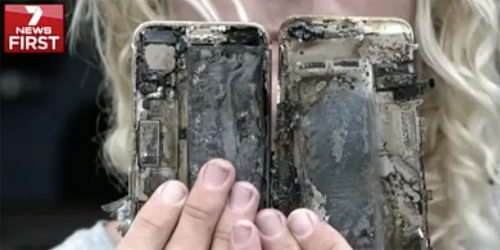 Over the last couple of years, we have seen a number of burnt iPhones, mostly older devices used with counterfeit chargers. However, here we deal with the new iPhone 7 released in September, so the reason for catching fire may be different.